Topic: Former Salvation Army Church, Dover. Re: Former Slavation Army Church, Dover. I have a picture of it with the front part of the upper floor blown-out. I'll see if I can find it in the morning. The ruined building also took another hit four years after the first in 1944: A direct hit from a shell. ... 18 or 1913, destroyed by enemy action, 1940, rebuilt to the glory of God 1953. I had to use a magnifying glass to enlarge the photo on my camera screen. It's a lot older than that. It looks new because it was bombed during the war and repaired...Maybe in 1953? And as far as I know it is being turned into flats. 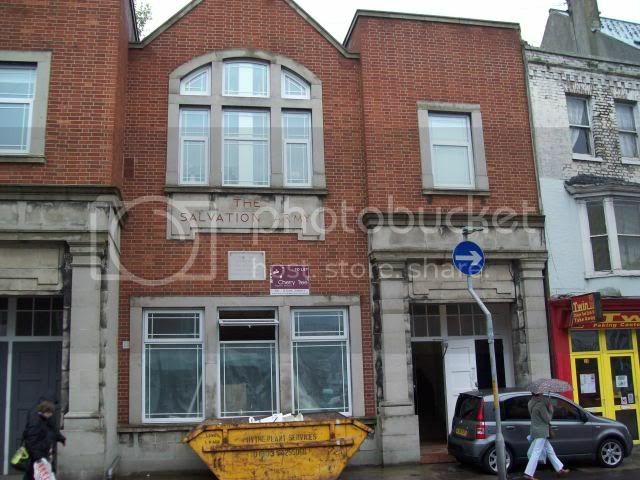 The former Salvation Army Church ( citadel, I think they call it) in Dover has been closed for sometime and is being converted into flats. I thinks it was built in 1953.